Running the Race: Hellooooo, Club 100! It's done! I'm finally a part of the black shirt brigade! Three years and 100 parkruns later, and I'm officially a member of Club 100. I have to admit that one of the first things that drew me to parkrun, was the milestone clubs and associated (free) club t-shirts. Free running gear? I'm in! This is my third milestone shirt (I've previously earned the Club 50 and Club 25 Volunteer shirts) and each one has been such a highlight. I guess I'm motivated by tangible rewards...? 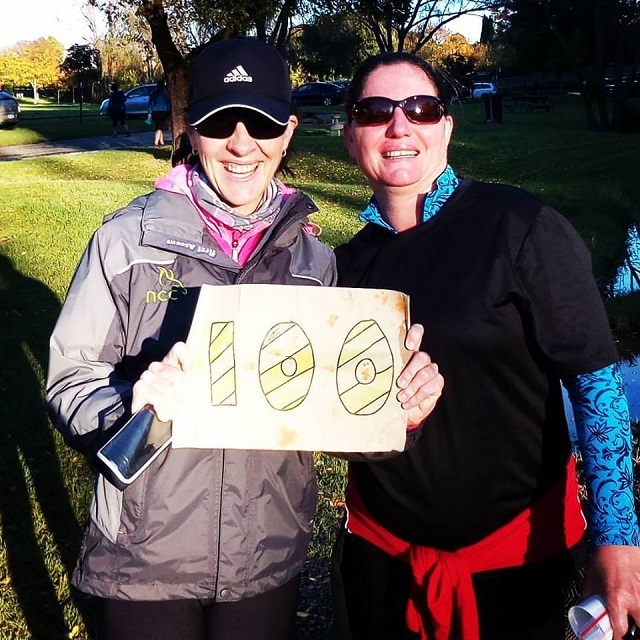 A true friend is one that gets up ridiculously early on a freezing Saturday morning to celebrate your 100th parkrun with you. Thanks, Juandre and Telané! 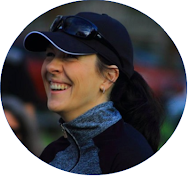 Three home parkruns: Naval Hill, Kimberley and Kapiti Coast. 15 parkruns clocked at Naval Hill parkrun. 46 parkruns clocked at Kimberley parkrun. 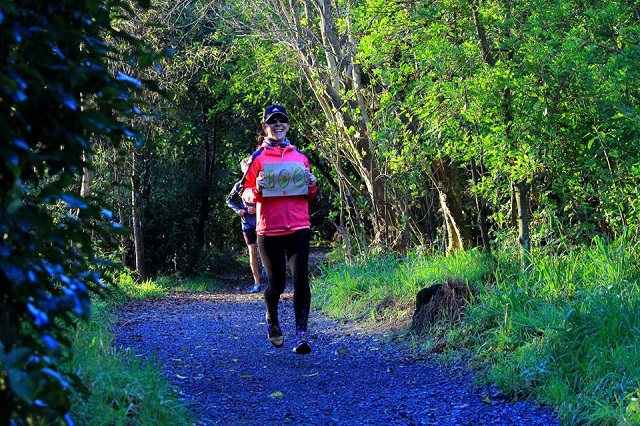 29 parkruns clocked at Kapiti Coast parkrun. 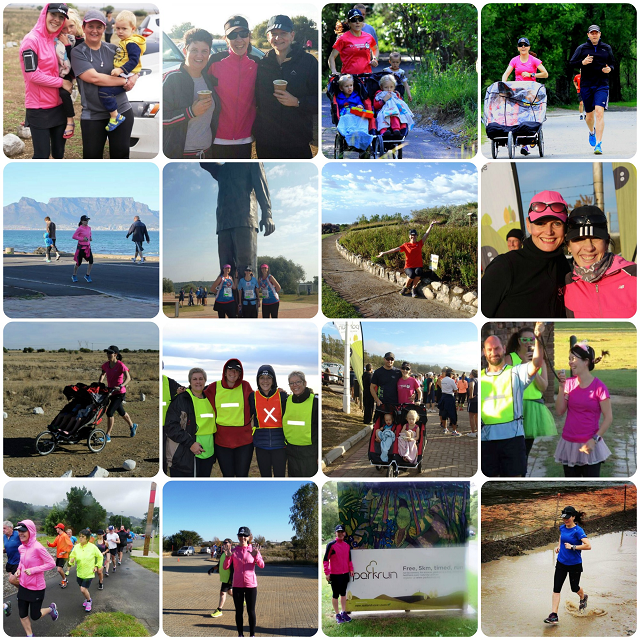 13 parkrun venues visited in total: Ten in South Africa and three in New Zealand. A slowest parkrun time of around 01:30:00. Friends and I showed up about half an hour late to Naval Hill parkrun after completing a 10K race, and then walked the route with our (very!) pregnant friend, Madelene. A fastest parkrun time of 24:04. 111 volunteering stints (some of them were combined). Countless new friends and wonderful memories! Printing out that barcode was without a doubt one of the best decisions of my life. Have you printed yours?? Thanks so much! I spent a few months living in towns where the nearest parkrun was hundreds of kilometers away, so it took me longer than most, but now it's done! Congrats!!! I love the Parkrun but, what a pity, we don't have it. I enter the race only when I go to UK. Such a pity that you don't yet have parkrun in Italy - hopefully soon...? That's some achievement Karien, many congratulations. I admire your dedication. Cheers! Thanks so much, Gordon - much appreciated!